Meet some people proficient in how to Santander. Viren started by supplying his branch with lobby leadership. He got up close and personal with everyone that came into the bank. Found out their needs and pointed them in the right direction. It was time for Viren to get personal. Personal Banking that is. He got his whole branch team started every morning and made sure everyone was on the same page. He set daily expectations. And he continued meeting, greeting, and getting personal with customers to find out what they need today and might need tomorrow. Viren now enters the branch as a champion. Literally. 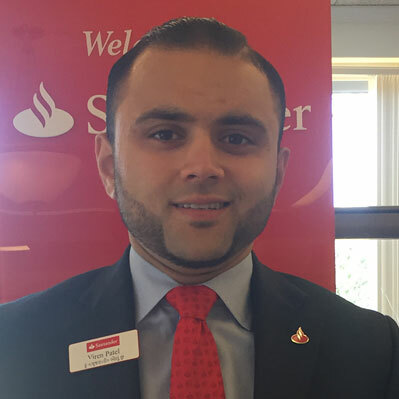 He’s the Lending & Business Champion for his branch, which means he’s sending weekly updates and helps build momentum around Santander Bank Initiatives. And making sure engagement is high in all of the 16 branches he works with. Beyond that, he’s giving his own branch the leadership it needs to hit every goal and sales target. 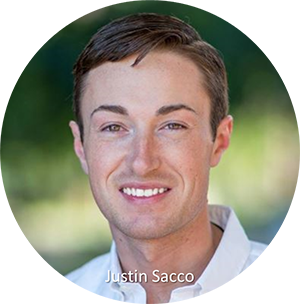 As a Bank Teller, Justin was there to deliver a great first impression to customers. Whether it was their first transaction or one of many, his was the first smiling face people saw when they walked through the door. He also got pretty good at managing deposits, shipments and monetary instruments at the branch. Building relationships is what this position was all about for Justin. He worked hard to convert new customers into regular customers by opening deposit and saving accounts for them, and by helping them make the best decisions about their borrowing and saving needs. Helping small businesses grow and succeed is something we pride ourselves on. In this position, Justin enabled us to do exactly that, by managing and giving advice on every detail. His contributions meant many small businesses were able to take their first steps towards taking over the world – all while staying profitable. We’re up to what’s happening now. And guess what? Justin’s taken all the knowledge and skills he’s gained over the past couple of years and rolled them into a leadership position. He’s the point man for the branch, setting the tone and focus of what’s important for his team every day. Mitchell had one main goal as a Teller: Make every person that walked through the door feel like they were the only one in the building. That’s how he built great relationships with customers. And he made sure everyone left thinking that they’d been treated like a million bucks. How do you take a relationship to the next level? As Mitchell quickly realized, it’s all about making banking personal and devoting quality time to every client. That meant figuring out what was important to them, how to meet retirement goals and how to make them feel better about paying down their debt. Good coaches help teams take on the toughest challenges. 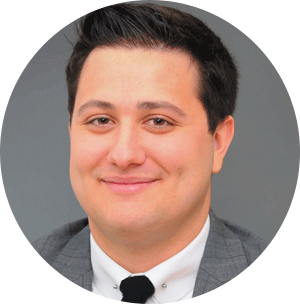 As a Branch Manager, Mitchell rallied everyone around him to achieve goals every single day. Luckily for him, he could apply all the relationship skills from his previous positions dealing with customers and level them up to strengthen his team leadership abilities. From being a leader of his team to being a thought leader, Mitchell now brings his blue-sky thinking and big ideas to building and improving the reporting infrastructure at Santander.